It has been over 9 months since the exploration of planet cubicle started. 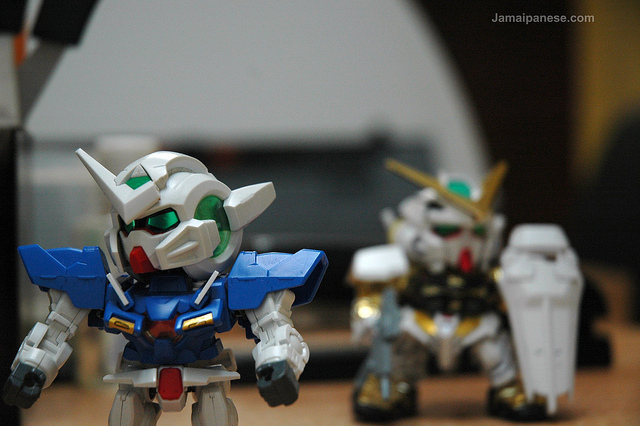 Chibi Exia and Chibi Astray Gold have been recording their findings and interacting with the inhabitants. The two of them have had completely different experiences on the planet and I have decided to share their research and findings. 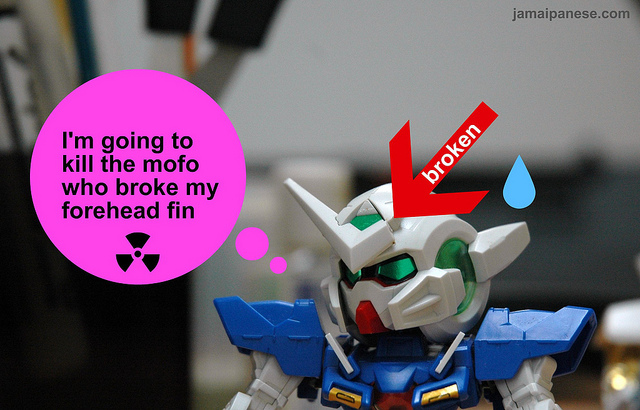 Chibi Exia has not been having a good time, being manhandled by all and robbed of his weapons. His forehead fin was broken by an over-exuberant inhabitant fascinated with the new explorers. 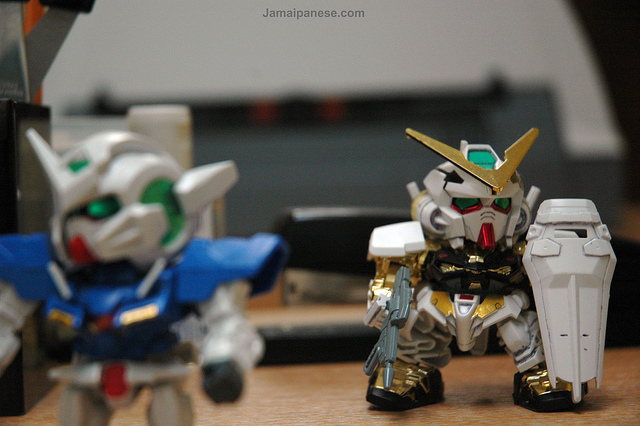 Chibi Astray Gold on the other hand has been enjoying himself, socializing with everyone especially the female species who seem fascinated with his shiny gold colour. more popular with the males in the office maybe because it’s blue? I had originally planed to keep only one of these figures on my desk at work but couldn’t decide which one. Created a poll but at the time of this post the votes were locked at 6 a piece. Re-posting the poll below to see how the latest update affects the voting. 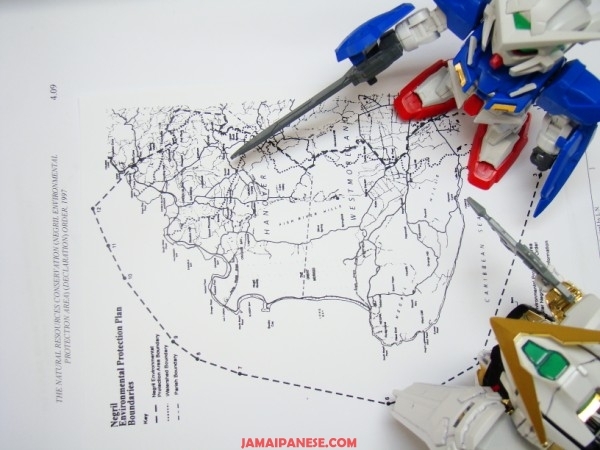 By far the Exia needs the permanent residency! It’s just way too cool! I’m going to say Exia. That way he can exact his revenge upon said co-worker faster if he stays.